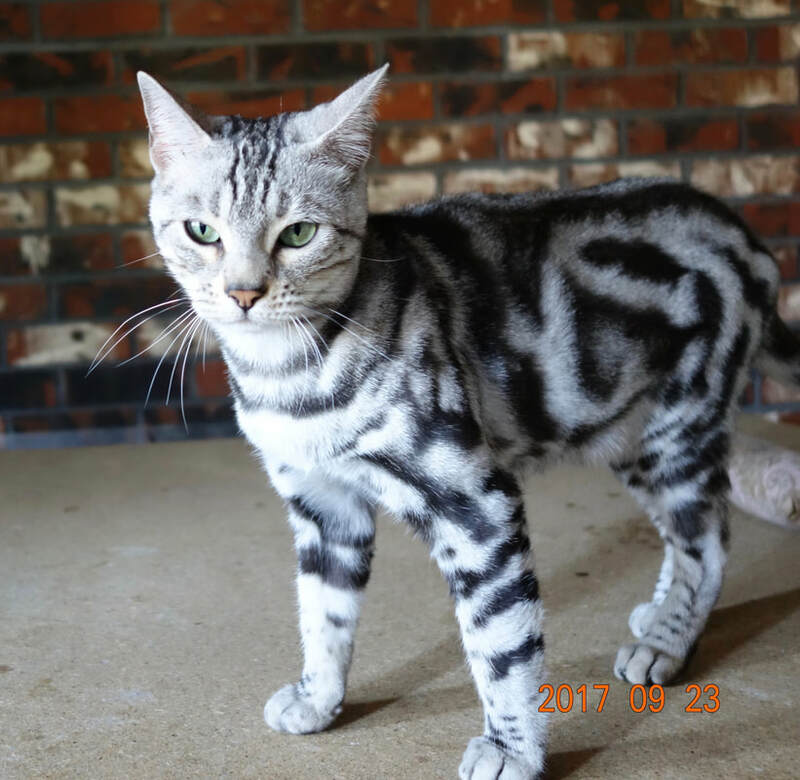 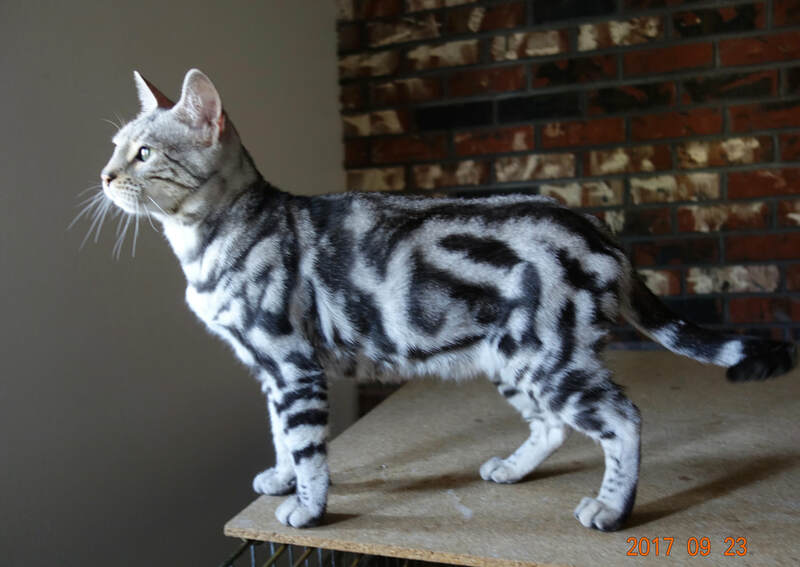 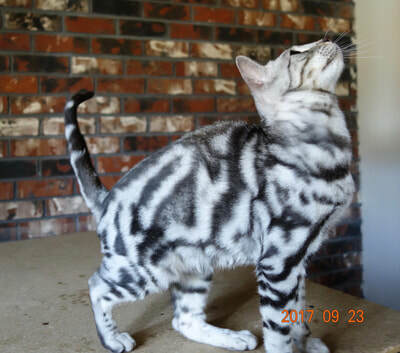 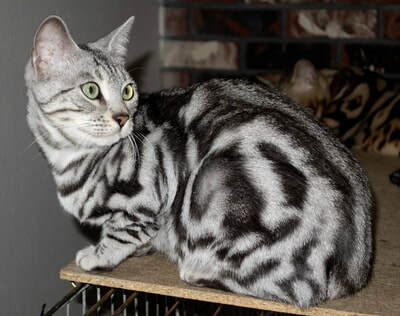 SouthLynn Silver Jammit - Northwest Bengal Cats Beautiful, friendly Bengal Cats and kittens for sale in the Pacific Northwest of Oregon. UPDATE: Sunday, May 27th ~ Jammitt has been adopted!! 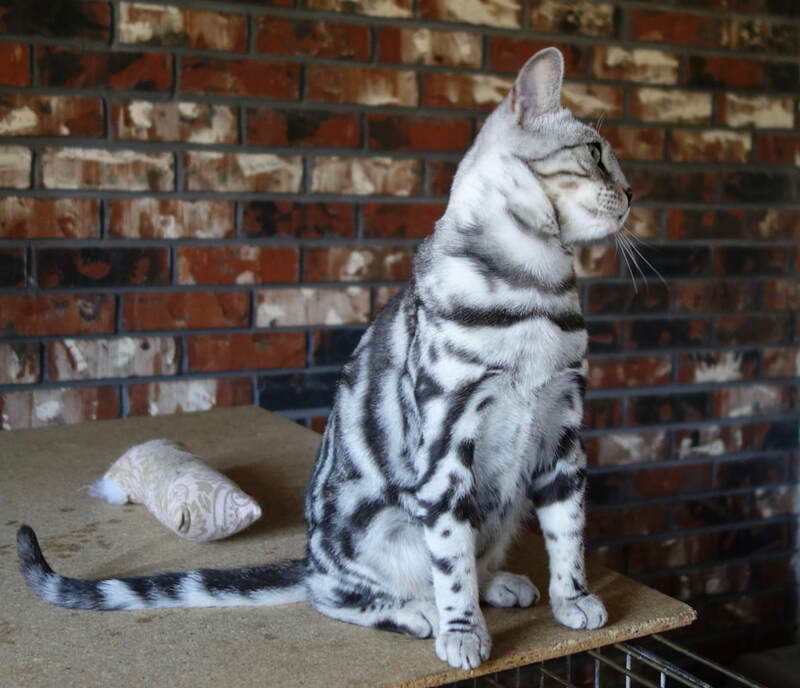 Jammit is a lovely silver marble Queen, she only had one litter that was delivered by c-section and required a spay at that time. 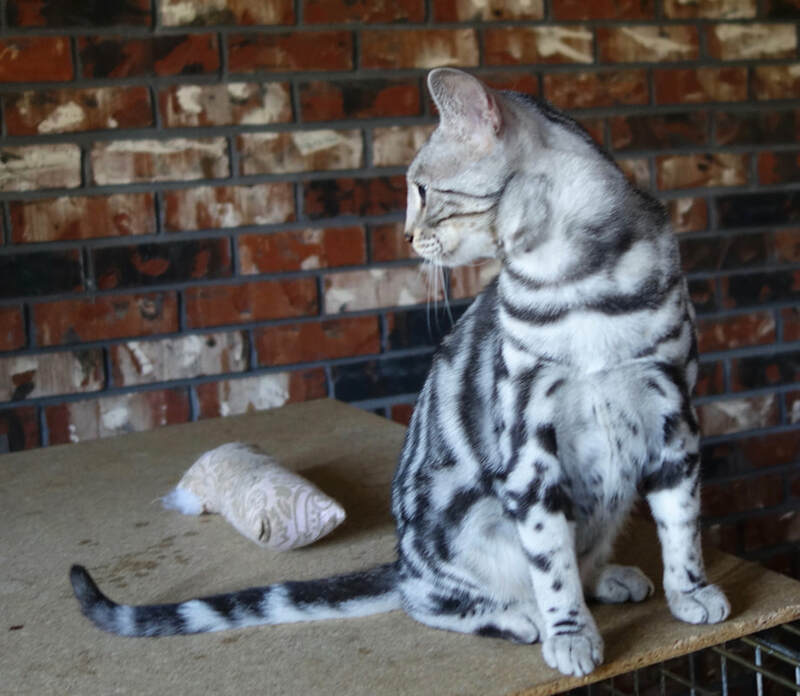 We're disappointed that there will be no future litters from this gorgeous girl, but thrilled that she now has the opportunity to have a new adventure as the star of her very own family.